With so many technology options to get websites to other markets, where do you start? This post highlights some of the core competencies of website translation that organizations should look for when it comes to website translation. 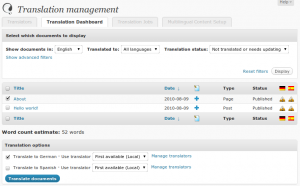 There are two sides to website translation – the Content Management System (Client) and the Translation Workflow (Language Service Provider, or LSP). To get these systems to work together can be a challenge but software developers have worked on various solutions to eliminate the need for manual processes in website translation. Translation proxy is a hot topic today and used by many start-up companies to quickly scale up on a global level without needing involvement from IT. Instead of creating a separate site for each market and the need to create international domains, translation proxies crawl through the website in the source language and create a hosted version for each required market in the cloud. Updates to the site are automatically sent for translation for all other markets. The limitation of this solution is that you can only translate exactly what is on the original website, or at the most, eliminate parts you don’t want translated. Also, by having your international sites hosted by either the Language Service Provider or an independent solution like Smartling, you are bound to this solution to keep your international sites up and thereby, bound to that provider as well. Without the need for upfront investment in international domains (which is a key selling point), companies should realize that they are not going to be able to rely on those assets that may help them down the road. 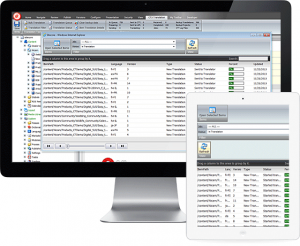 A more flexible, but less automated solution, is the integration of CMS solutions with the translation workflow through some form of middleware connectors. About 10 years ago when CMS integration with translation workflow started to gain track, larger Language Service Providers (LSPs) started building proprietary solutions to automate the process of getting content out of these CMS systems and into their own translation workflow. Other independent technology companies like ClayTablet started to create their own middleware solutions to provide essentially the same routing capabilities, but with the option to choose your own translation provider for the content translation. 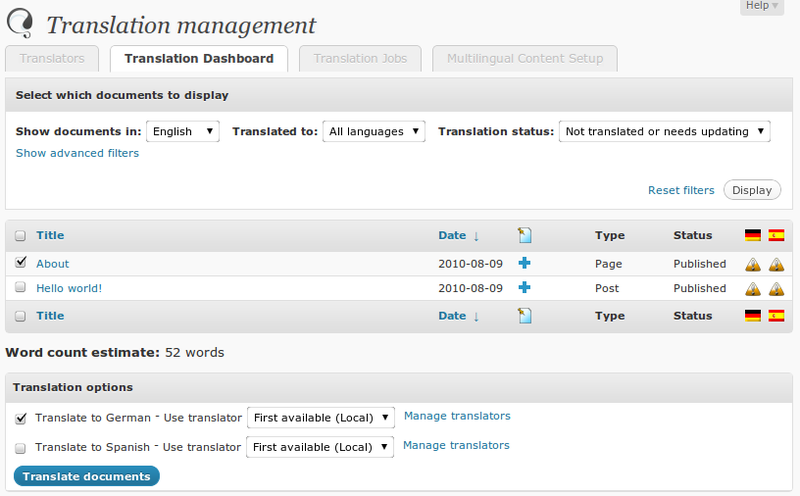 WordPress has become the most prominent WCMS for websites and there are many ways now to connect WCMS solutions with translation workflows. Some WCMS solutions offer their own multilingual capabilities and the open platform of many solutions has allowed the addition of extensions to solve many of the issues in translating websites. Machine Translation has enabled a whole new market for website translations as a low-end solution that can be used to get to market quickly. There are two flavors to many of these solutions; one is vendor specific and the other is vendor agnostic. Translation proxies in particular are often vendor specific, with the Language Service Provider not only providing the translation service, but also being responsible for hosting and maintaining all international sites. This can be a risk factor. First, the company does not own any international domain assets that they can leverage over time. The other is that if the translation proxy solution doesn’t work for the organization, or the relationship with the Language Service Provider goes sour, the organization will have lost a lot of infrastructure at once. Vendor agnostic systems allow organizations to keep some independence between technology solutions and translation. Our position on this is that we rather prefer to be a technology adviser of independent solutions that fit the needs of the client and also do not tie them with a specific solution they need to keep. It allows organizations to maintain supplier diversity and choose each vendor with the core competencies that best fits their needs. Whether you translate everything professionally or are looking for a hybrid solution (Professional Translation, In-house, Machine Translation), translation team selection remains a core competency of website translations. This means looking at the purpose of the website and the makeup of subject matters. Not every translator has the experience in website translation. Translators need to keep in mind variable data, document references and experts in using the translation technology for consistency and accuracy. Glossary development is an important asset for translation and needs to be mastered by the team. As websites develop and decisions are made on the style and company specific terminology, it pays to have a consistent team of translations familiar with the subject. Even though technology can help with consistent terminology and style, experience counts. Project Management is the key to getting IT to work together with the translation team. This starts by selecting the method of getting content in and out of the system and optimizing this for the translation workflow. For many organizations, there are several options to approach this and your LSP can help you make the decision that makes most sense in terms of costs and time frame. Technology advising needs to be done in the context of the translation workflow and the workflow at the client’s side and your LSP can help you with these insights. One main core competency in website translation is to ensure that everything is translated in context. Depending on the level of automation, additional work is required to ensure that external references and metadata is included as context for the translator to get an accurate translation. Even at the highest level of automation of translation proxy where translators can work in a live view of the site as they translate, decisions need to be made on how to address company terminology, how to address formatting issues and also selecting the right team. A great Project Management lead can think ahead on issues that may arise when translating websites, adding in video, using fonts, adding Unicode support, etc. Also, with budgets always being a constraint, consider taking into account metrics for selecting the countries in which you want to make the investment and what type of investment you want to make. Your Language Service Provider (LSP) should be able to help you determine the most important factors to look at when making this decision. Before content systems started to get integrated with translation workflows, the availability of web filters in Translation Memory software allowed Language Service Providers to extract text from different native file formats (XML, HTML, ASP, etc) into a workable bilingual format for translators to work in. These filters require knowledge of coding elements and attributes in order to extract text in a clean way, where code was either eliminated or turned into format tags that translators easily could duplicate (think Format Paint in Word) in the target language, without the need for any coding skills. Translation Memory remains a true champion of website translation. A well managed translation workflow includes proper organization Termbase and Translation Memory assets to make sure that words don’t get lost in translation. If these assets are not managed well, Translation Memory can turn against you and deliver the wrong translation in the wrong context. Translation Memory should help with consistency of voice and quality management. Decisions that are made on brand terminology, client changes of the translation, utilizing both in-house and vendor translation resources, etc, all impact the Translation Memory. Be careful also with too much automation in Translation Memory technology. Some technology vendors claim that they can augment translation from past work if it is deemed structurally similar, but we know that many languages are highly contextual and may not always be correct in any situation. Also, without any human intervention in double-checking Translation Memory matches, it is unlikely that highly specialized translation work can be reused effectively. Therefore, Translation Memory management is still much a human process aided by technology solutions to suggest matches for consistency. Access to new markets has become the growth strategy for many organizations. Technology innovation, cloud technology and access to low-cost solutions for website translation can make the decision on choosing the right website translation process difficult. Decisions on the level of technology automation and level of investment should be made depending on the level of organization maturity, the current and future needs of the business and also the translation quality it desires. We’re here to help you sift through the options and determine that which fits your needs.